Walmart buys out Yihaodian : A new e-commerce giant is born? After 4 years of existence Walmart has finally bought out 1haodian as part of an aggressive strategy to further its development in the e-commerce sphere. 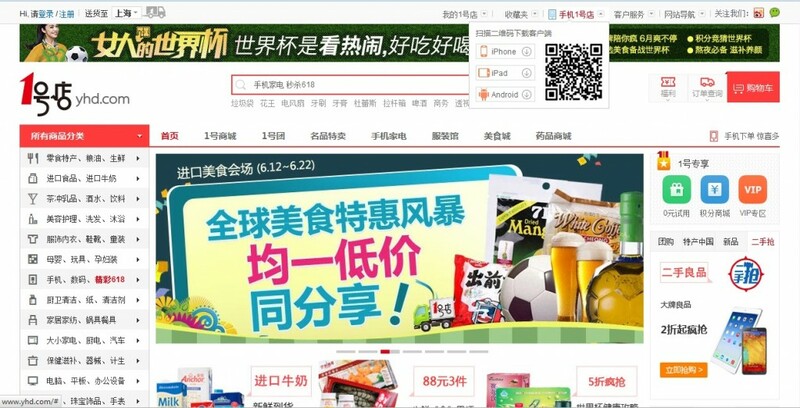 Earlier this month, it has been revealed that the two founders, Gang and Jun Ling have announced their desire to leave Yihaodian, effectively handing over their e-commerce platform to Walmart. Neil Ashe, CEO of Walmart Global addressed an open letter to the employees of the e-commerce platform about their future and part in Walmart group strategy(more on e-commerce here). Walmart managers, Roger Song and Daisy Dai will stay take over under the supervision of Wang Lu, appointed manager of the new acquisition. In order to keep things going smoothly the two founders will stay at 1haodian as honorary chairman and strategic management consultant even though they have relinquished all their claim regarding the e-commerce shop. When asked why Walmart acquires Yihaodian, they replied that Walmart woulnd’t have developed as successfully if internet had not been there. Still, now Walmart has truly set foot on e-commerce soil…Will a world top 500 industry combined with a tiny Chinese e-commerce become another e-commerce giant in China?